Starting on Monday, 21 January, Finnish digital prescriptions will be valid in Estonia, meaning holders can obtain their prescription drugs there as well as in Finland. The move is a reciprocal one, with Estonian digital prescriptions due to be valid in Finland during the course of 2019, making the move the first prescription data exchange of its kind between two European countries. "Today marks the start of the cross-border movement of electronic health data in Europe,'' said health minister Riina Sikkut (SDE) of the development, which was slightly delayed from its original due date in December 2018. ''Estonia and Finland are the first countries to launch a service enabling the purchase of medicinal products in another country via a digital prescription," she continued. "Agreements entered into in Europe are to become real solutions, which in the future will enable health data to move around with people, so ensuring better quality healthcare to those millions who travel, study or work in another European country, something we were working towards during Estonia's Council of the EU presidency [in the second half of 2017-ed. ]," she added. Ms Sikkut said, however, that the launch of the cross-border prescriptions exchange may be a historic milestone, but it is still only the first step on a long road. "Over the next few years, we will already want to enable the forwarding of other health data, too, so that when a medical problem arises in a foreign country, doctors have access to an overview of their patient's medical history," she added. Monday's announcement represents Estonia's completion of a solution facilitating Estonian pharmacists requests, via their information systems, for a digital prescription issued in another European country. 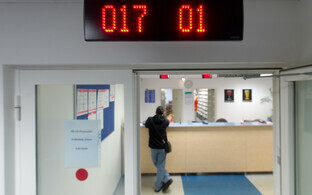 The system, developed by the Health and Welfare Information Systems Center (TEHIK) in cooperation with the Agency of Medicines and the Estonian Health Insurance Fund (Haigekassa), is reportedly planned to be expanded to the purchase of medicinal products in other countries, using Estonian digital prescriptions. This is due to be rolled out first in Cyprus, Greece and Portugal, as well as Finland. Prescription data exchange is part of a project beginning in 2017, aimed at ensuring better quality healthcare and availability of medicinal products to those in other countries, for whatever reason, via electronic data. Nonetheless, individuals will be able to restrict electronic exchange of their data should they wish to, it is reported. Estonia is also pioneering the electronic data flow with a European Commission-managed data exchange platform set for 2021, which 23 countries have so far signed up to with the goal of making the platform a reality, it is reported. Tõnis Jaagus, head of the health division of the e-services management department at TEHIK, said that the project was particularly complex since, when building up the data exchange, factors that including various countries' registers concerning medicinal products and prescriptions, as well as the rules and characteristics of the medicinal products' market, needed taking into account. "As of now, the countries participating in the project have agreed on joint rules; the system has been created and the unique transnational data exchange service in the health field is open for people," Jaagus said. TEHIK has cooperated closely with pharmacy software developers, as well as informed and trained pharmacists. 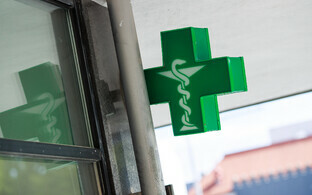 Estonian pharmacies are as of now ready to vend medicinal products prescribed digitally in Finland. 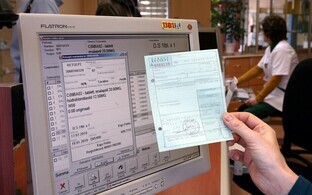 Previously, only paper prescriptions could be used in overseas purchases. Over 3,000 medicinal products per year are bought in Estonia on the basis of a paper prescription issued in another European Union country, it is reported. Finnish e-prescription holders can purchase their medicines in Estonia, and later elsewhere in Europe, using their ID Card. More information is here.